I was lucky enough to try a couple of products from their range these past few months and I can highly recommend them. My favourite was their newly launched Lavender with a hint of vanilla which not only smelled good enough to eat but was effective in keeping me feeling fresh and clean all day (even after a few cycle runs to school and back) Another advantage of this deodorant unlike others I’ve tried is that one quick spray after shaving doesn’t sting and there are no tell tale white marks on your clothing. Crystal spring also have a collection of unscented deodorants which are just as effective but developed for people with sensitive skin and allergies. 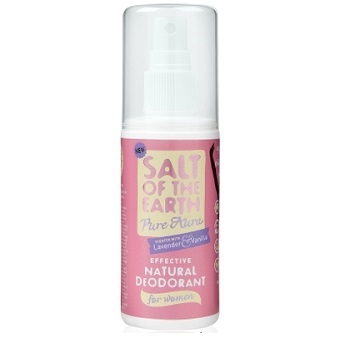 The brand have recently developed a new line for pre-teens and teenagers and their rock chick deodorant for girls is gentle on the skin and offers long lasting protection. The brand based in the UK uses all natural ingredients which are suitable for both vegetarians and vegans. For more information about Crystal Spring’s products please visit their website.